After being awarded a highest-possible five-star safety rating from the NHTSA, the 2015 Chevy Trax has once again been recognized for its crashworthiness, this time with a Top Safety Pick Award from the Insurance Institute for Highway Safety. The small SUV received numerous safety upgrades for the 2015 model year, including changes to the airbags, dashboard structure, and frontal reinforcements. 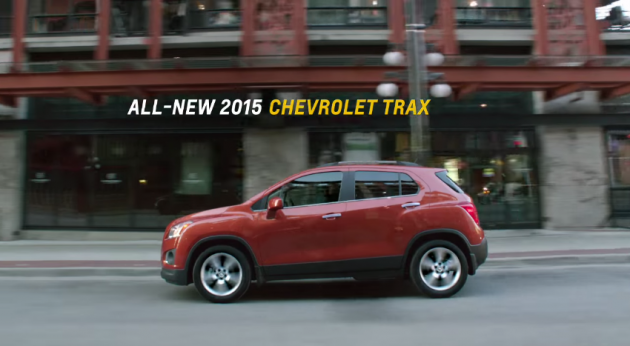 The new moves paid off, with the Trax earning a “good” evaluation in the difficult small front overlap crash test. Competing models that rated poorly in the small-overlap test include the 2015 Ford Escape, Hyundai Tucson, Jeep Patriot, and Kia Sportage. But the Trax isn’t just safer than those other vehicles—it’s more millennialtastic, too! “The Trax is the perfect example of Chevrolet’s commitment to putting state-of-the-art technology and class-leading safety features where it matters most for the customer,” Brian Sweeney, US vice president of Chevrolet, said in a statement.